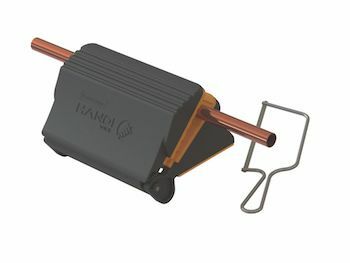 Respected DIY brand, Plasplugs, now rejuvenated by QEP, has launched an innovative, portable clamp called Handi Vice. This time saving portable device is ideal for experts and novices alike. Handi Vice can be used securely on the edge of any surface, whether at home, at work or on the move. Handi Vice has a strong rubber grip, ideal for holding a wide range of materials such as trims, pipes, timbers and tiles up to 60mm thick whilst cutting or drilling. This unique, patented concept, allows the user to retain a strong grip on the task. Handi Vice has already been nominated by the DIY trade as one of the new season's best innovations. For more information contact: QEP Co. UK Ltd.